Those who opt for a Hansgrohe Croma can be sure that they have a very wide range of Hansgrohe showers for all mounting situations. 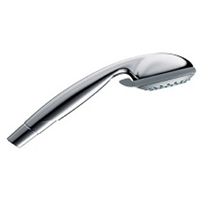 The Hansgrohe Croma shower programme offers the right shower for every shower fan. Take time to look up the Hansgrohe Croma range and find the right Hansgrohe Croma head shower, Hansgrohe Croma hand shower, or even a whole Hansgrohe Croma shower set or a complete Hansgrohe Croma Showerpipe.